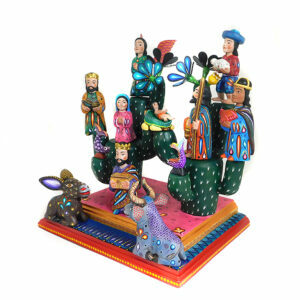 Nacimientos made of wood, pottery, everlasting flowers, fruits, basketry, glass, wax or tinplate, Mexican nativity scenes possess a charm all their own. Although the custom of putting up a Christmas tree has become very popular, the real Mexican tradition consists of setting up a nativity scene. Nacimientos or Nativity Creches are also called pesebres, manger o belenes creche that represent the nativity in Betlehem. 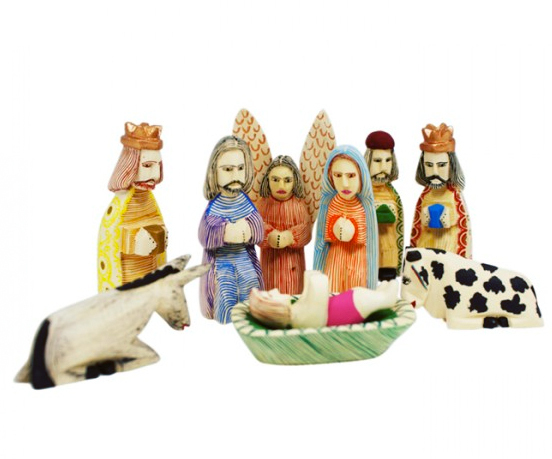 These scenes are set up on December 16, but the figure of the Baby Jesus is not put into the manger until December 24, and the Three Kings are added on January 5. Following are some beautiful examples of this wonderful Christmas Tradition. 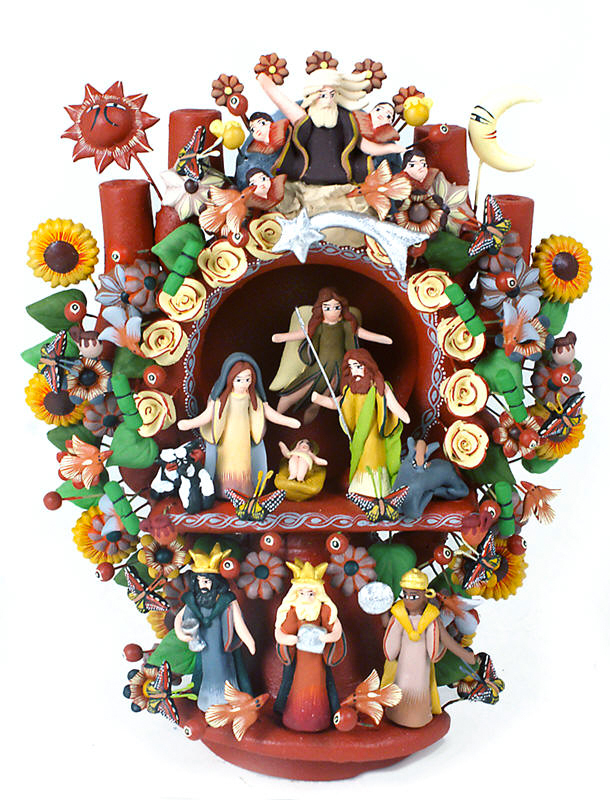 This Nativity is hand carved from wood made in Oaxaca Mexico.